“Ito po ang pagkakataon for us na makita ang mga proyekto at makita kung tunay ba na ang proyekto na ito ay nakakatugon sa kahirapan…” Assistant Regional Director for Operations and Kalahi CIDSS NCDDP IV-MiMaRoPa Regional Program Manager, Floreceli G. Gunio said in her opening remarks on the ongoing Regional Program Review and Evaluation Workshop (RPREW) of the Mindoro (Oriental and Occidental), Marinduque, and Concepcion (MiMaCon) Cluster. STA. CRUZ, Occidental Mindoro- Sustainable Livelihood Program (SLP) conducted the SLP- Bottom-up Budgeting Capacity Building and Project Identification for solo parent beneficiaries yesterday. Posted on 25 November 2016. 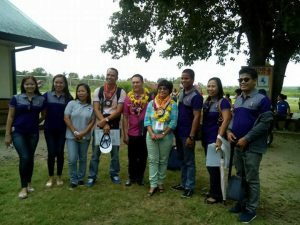 Sustainable Livelihood Program of DSWD joined the MiMaRoPa Naturally Agri-Trade and Tourism Fair 2016 in Palawan last Friday, 11 November 2016. MAGDIWANG, Romblon- A total of Php930,000.00 was released to 620 senior citizens in this town for the fourth quarter payout of the DSWD #SocialPensionProgram. Area Coordinator of San Fernando Romblon, Neil Aton presents the status of the implementation of Kalahi CIDSS in their area. In his presentation, AC Aton also recommended using the strategy of Community Organizing in mobilizing the people in their community. Assistant Regional Director for Operations, Floreceli G. Gunio shared her insights on how to improve the implementation of the Kalahi CIDSS areas in Romblon. One of her recommendations was the strong engagement of the Local Government during the project implementation stage. Calatrava Mayor Marieta Babera presented the status of the implementation of Kalahi CIDSS in her municipality. Mayor Babera is one of the newly-elected mayors in Romblon and her utmost support to the Kalahi CIDSS program has started even before she was elected in the position. Regional Community Development Specialist, Felomina Duka presented the trends and the adjustments that the Kalahi CIDSS implementing municipalities in Romblon need to accomplish in order to smoothly and timely implement the remaining project cycles. 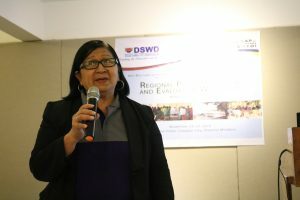 DSWD officials spearheaded by Regional Director Wilma Naviamos arrived in Cuyo Island, Palawan to personally witness the conditions of the unreached and less served communities in MIMAROPA region.